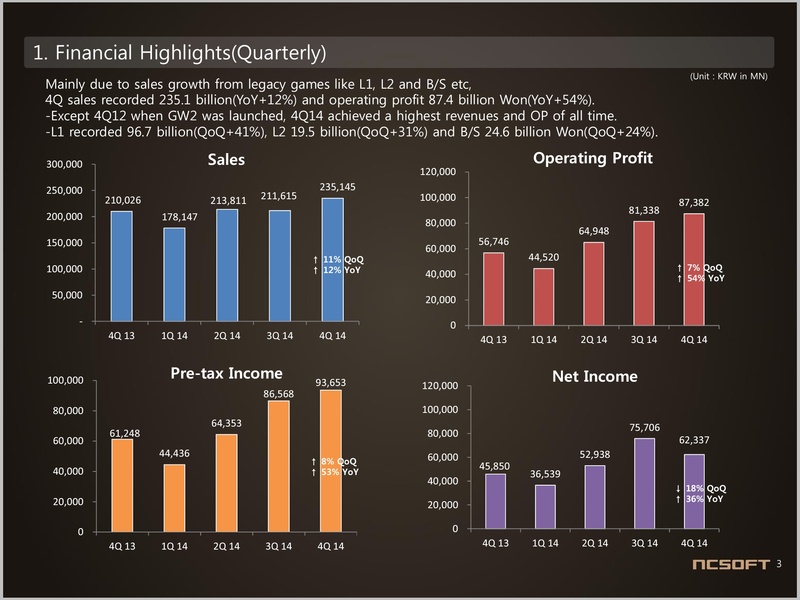 NCSoft has just released their Q4 and Full Year 2014 financial results and things are not looking good for Wildstar. 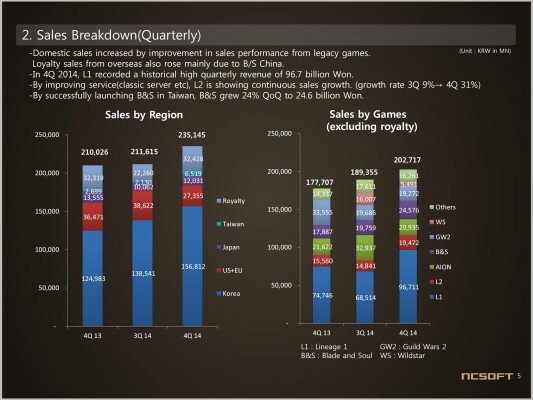 When the game was released in Q2 2014, it had a revenue of 28,048 Korean won. This declined in Q3 to just ₩16,007. In Q4, however, the game raked in a paltry ₩5,491. 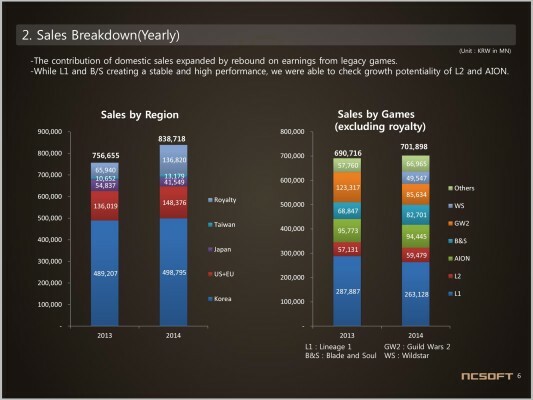 This is bad news for the highly-marketed MMO, which is now down in sales roughly 500% from the quarter it debuted. Thankfully, NCSoft is being buoyed by Lineage 1, which accounted for half of their sales in Q4 14. Meanwhile, Guild War 2 continues to decline, now outsold by Blade and Soul.